Learn how to choose, plan, or change your professional career. Have you ever realized that we spend at least a quarter of our life working? To choose the right career, and to change our occupation when we do not feel happy, are some of the most important decisions we have to make in our lives. But what is the right job for you? What occupation will make you happy in your daily life? And how to change your career if you have been doing the same job for the past ten years? 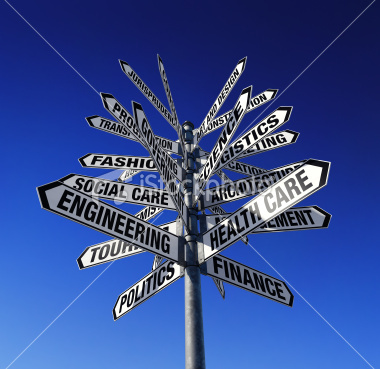 New career ideas for everyone – Wanting to start afresh? Check the list of careers you can start anytime, regardless of your education or previous experience. Career planning guide – Learn how to plan your career moves, and what steps you should take to smoothly transit from one career to another. Career networking tips – Learn how to use the power of your connections to get a new career. * If you did not find what you were looking for, please use the search function in the page footer.